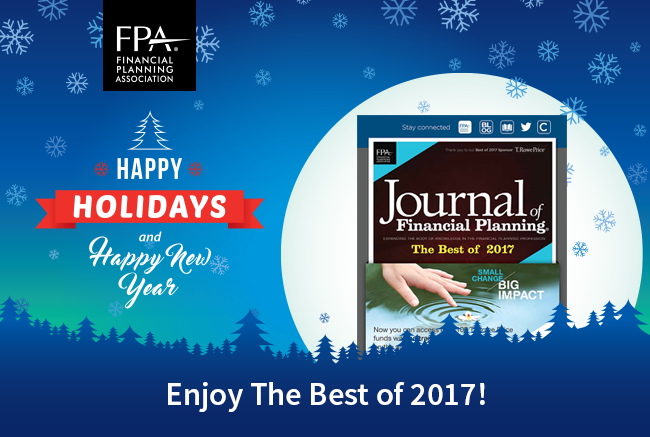 How exciting to open the bonus (digital) issue of the Journal of Financial Planning – Best of 2017 and see my cover story (Planning Concerns for the Aging Population: A framework for client and family discussions) from April 2017, selected for inclusion – along with a lot of other terrific articles. The JFP is just one of the many benefits of FPA membership. If you’re not a member and would like to take advantage of a limited-time offer to save $200, click here and use the promo code JOINFPA4 at checkout! Looking for Referral Alliance Partners?